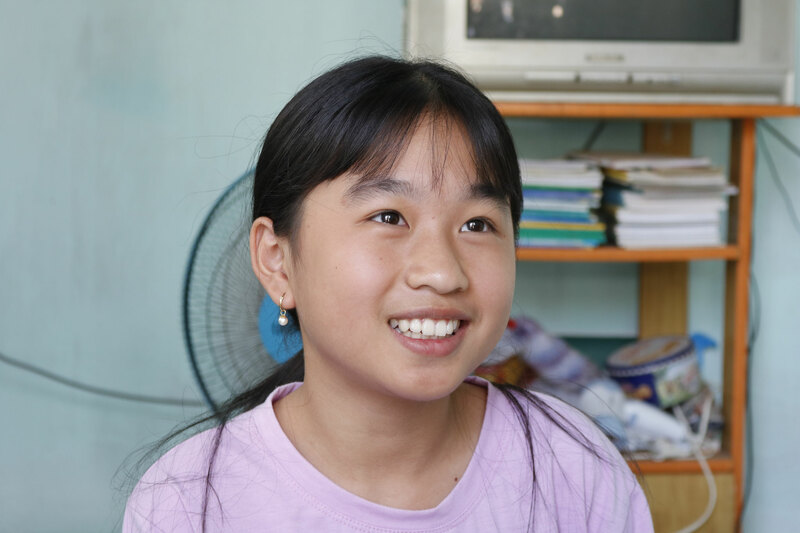 Scholarship Award in Tân Châu - givekidsadreams Webseite! One of our sponsors, Mrs Thu Trang, coming from the United States of America, would like to visit the students whom she has not yet met before. Owing to Mrs. Ngọc Anh’s traffic accident on March 24th 2018, Mrs. Ninh Hồng and her daughter, Hoàng Nghi who took care of the bags and made pcitures, accompanied the lady, spent approximately more than three hours on the bus from Saigon to Tân Châu, located adjacent to the frontier of Cambodia. On this special occasion, there were some scholarship awards had been distributed to students. Upon greetings, teachers from different schools were willingly to take their turns to lead our three ladies, by riding on their motor scooters to meet students and their families as well. 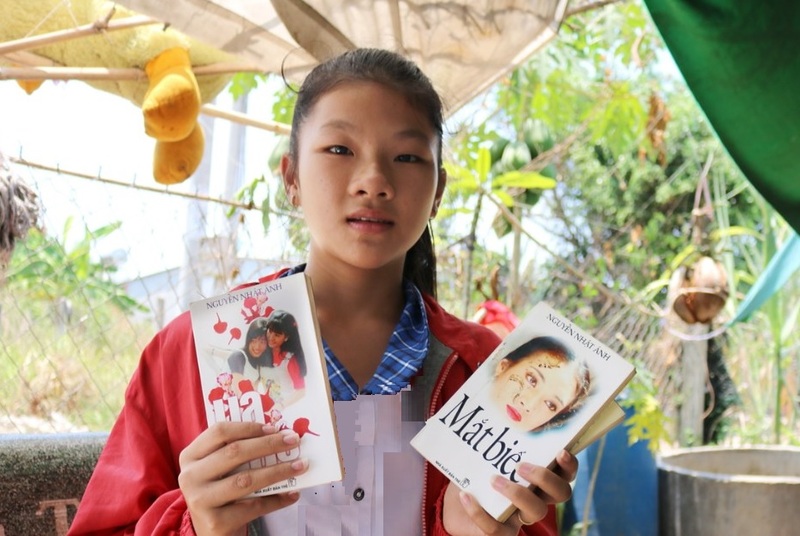 In addition to the scholarships, the children also received books, candies and little lucky money as gifts from Mrs. Ngọc Anh's mother and from Mrs Thu Trang. 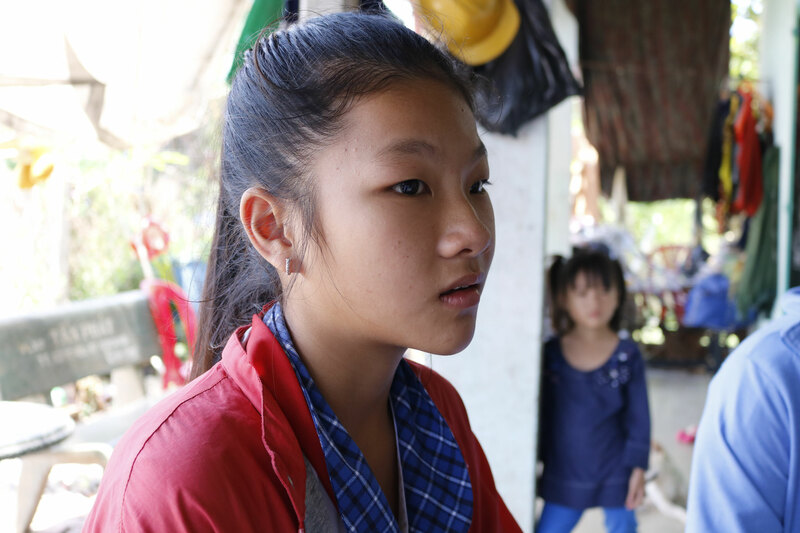 Trí Hải's parents do not have a steady job, they occasionally are hired as helping workers to get by for living. They also spend their time to collect the remnants of cassava roots in the crop field after harvesting, to dry out and to sell them for very little sums of money.It should be mentioned that this is also seen as theft if the owner has not explicitly allowed it. The house has clay floor, the walls and beds are built from bamboo. 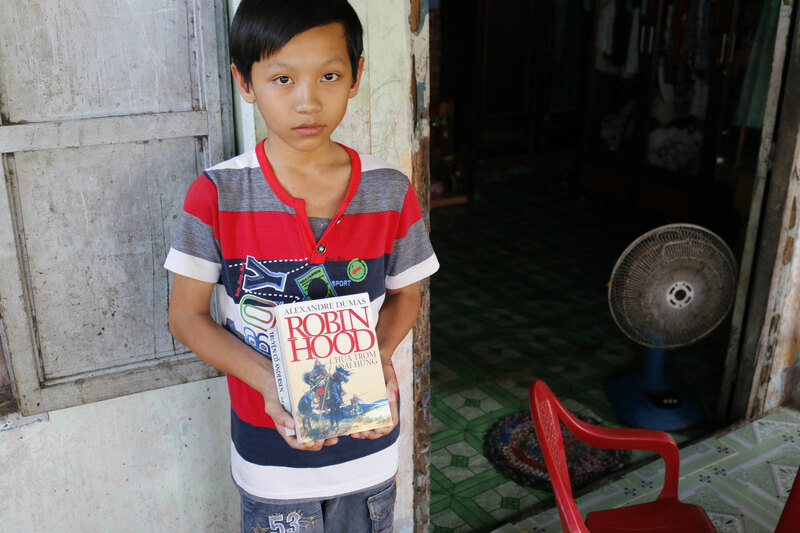 Trí Hải is thin, has pale skin, not very talkative, he probably feels ashamed because his family is so poor. 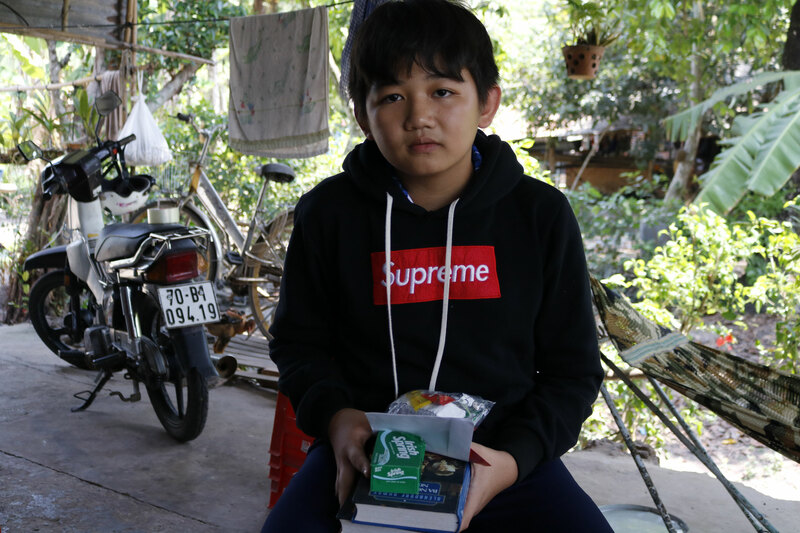 Trí Hải is in his 2nd grade, although he is already 10 years old; perhaps, his parents must miss enrolling for him later than his early school age, due to family financial issue. As shown in the picture, Trí Hải is requested to read out loud a letter as reading test by Mrs. Ninh Hong, and he could read it well. 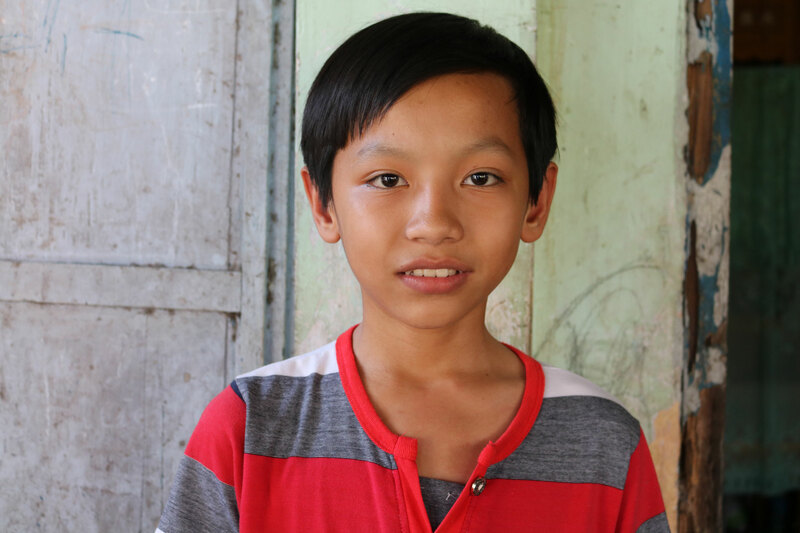 At school, he obtains 9 out of 10 which is almost the highest score in math and Vietnamese language. 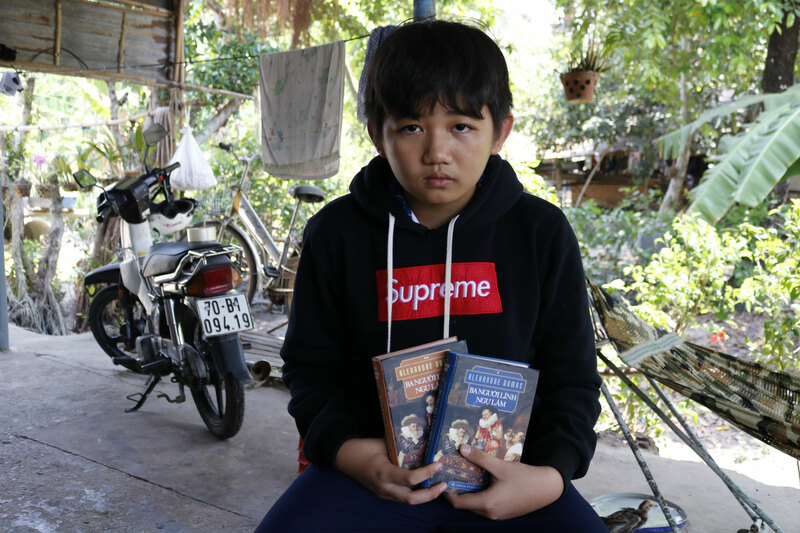 As of rewarding, Trí Hải received 10 comic books "The Adventures of Tintin". Ngọc Trâm's parents died early in a traffic accident. She and her 13-year-old cousin live with her 83-year-old grandfather, the grandmother passed away long ago. Ngọc Trâm cleans the house and cooks the rice, her cousin cooks the food. 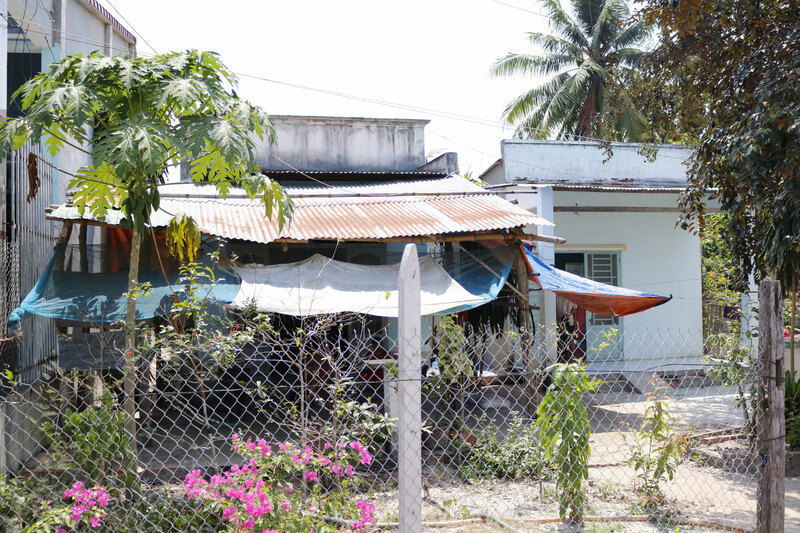 The house was subsidized by the community, their aunts and uncles helped a bit with the construction. Her pants were wider than her, so Ngọc Trâm had to hold on to her waistband when she was standing. Ngọc Trâm likes art, loves drawing. She has a friendly look but sad face. 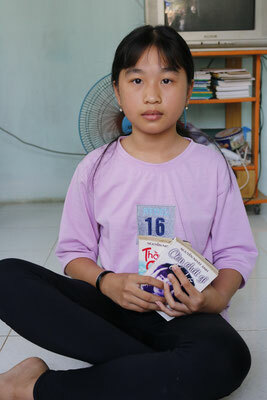 Ngọc Trâm is quiet, does not talk much. 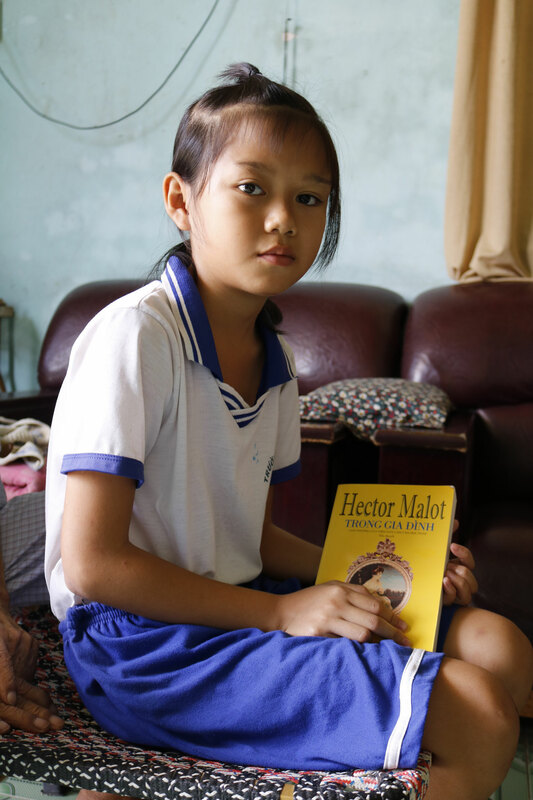 As a gift she got the book "En famille"(Nobody's grirl), a novel by Hector Malot. Mrs. Ninh Hong asked Mrs. Lan, the representative of the "Association for Promoting of Education" (Hội Khuyến học) in Tây Ninh, to find out further contacts of Ngọc Trâm's relatives so that in case of her grandfather's death the scholarship still be delivered to her. Trần Quốc Hào 's parents are divorced. This kid has received no child support from his father; then his mother left him after being remarried. Hào and his two younger siblings currently live with their grandparents who sell congee on the street. The house is next to a sewer. Hào dreams to be a doctor and likes to read fairy tales. He received the Fairy Tales of Hans Christian Andersen and "Robin Hood". 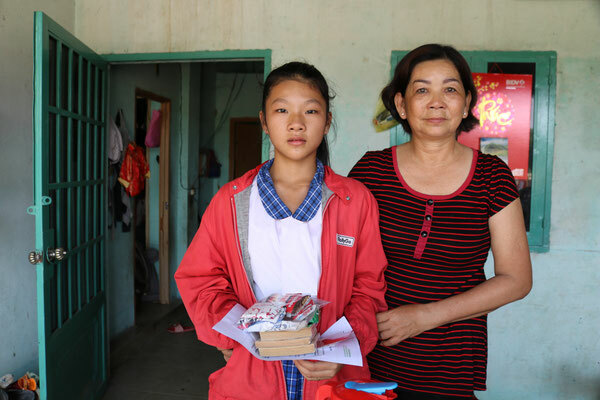 Hương Duyên's father left her, the single mother works as a cashew nut cracker to sustain 3 children. Duyên's brother is studying Controlling at an university in Saigon He works part-time to finance his study and costs of living. 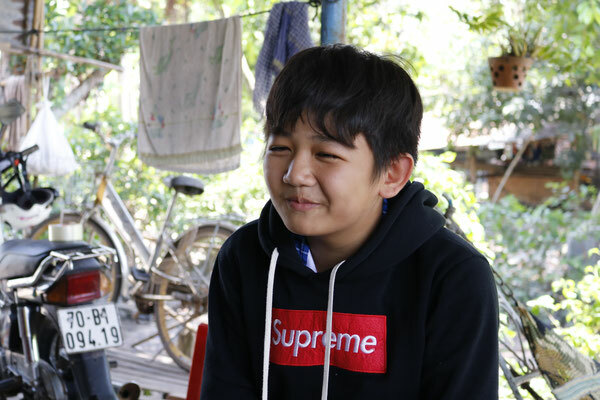 His achievements are very good, Duyên is also good at school. Duyên received 3 young-adult books, written by vietnamese authors Nguyễn Nhật Ánh and Minh Quân (What's left to remember, The little brat, Dead motel). 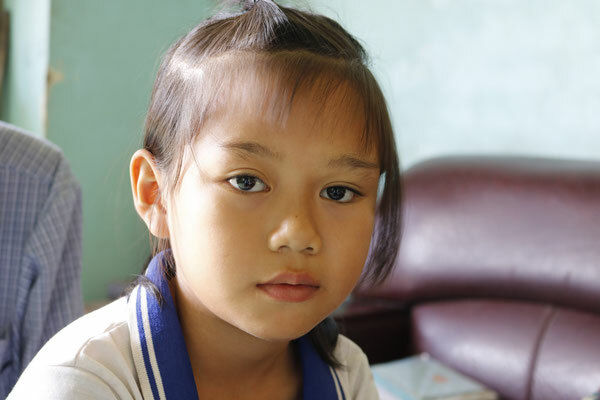 Tuấn Kiệt's father died, the mother's whereabouts is unknow, may be she is no longer living. 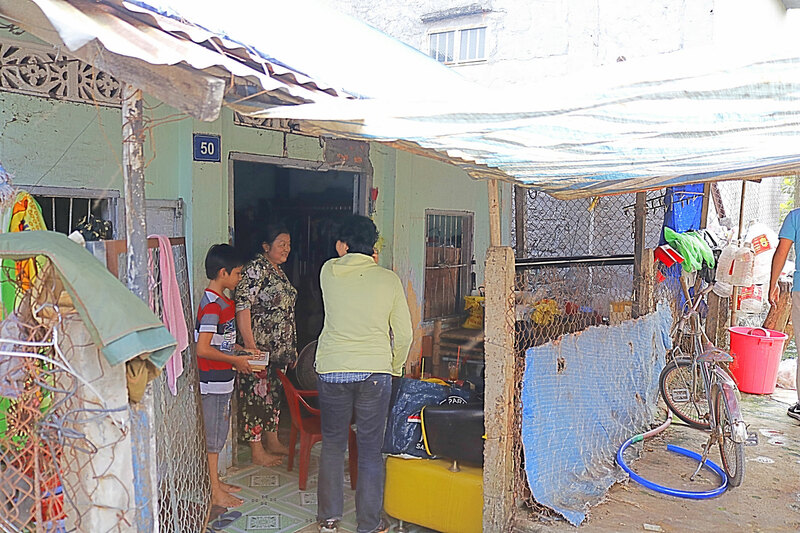 Kiệt lives with his grandparents and his aunt's family. 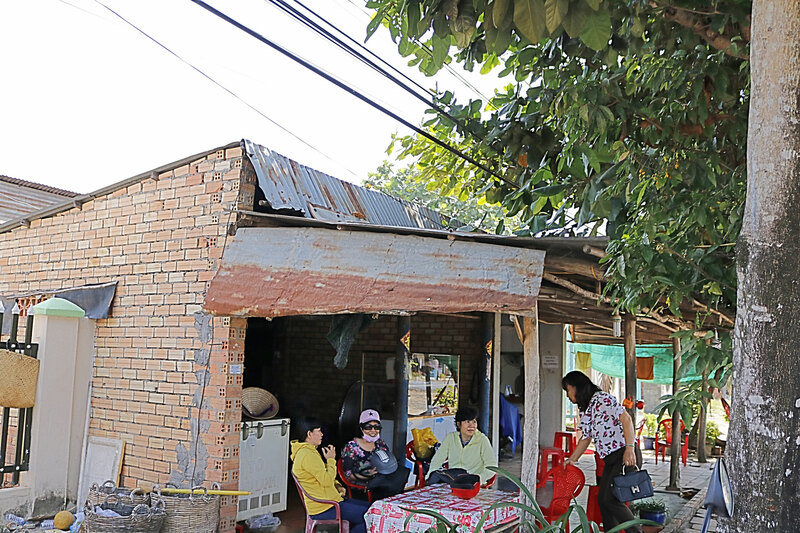 The family's main income is tapping latex of rubber plants from 1:00 am to 4:00 am at night. Payment is made on daily basis. When it rains, the work fails, as the bark becomes wet and soft by the rain, cuts and scratches let the water penetrates into the tree and results in death. Kiệt is good at school, he is also well cared by the family. 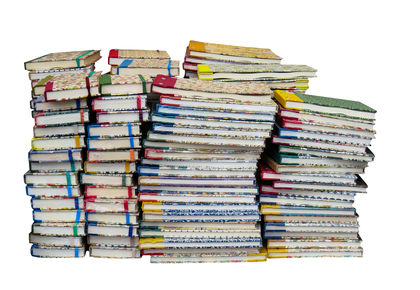 As a gift, he received the books "The Three Musketeers" by Alexandre Dumas. 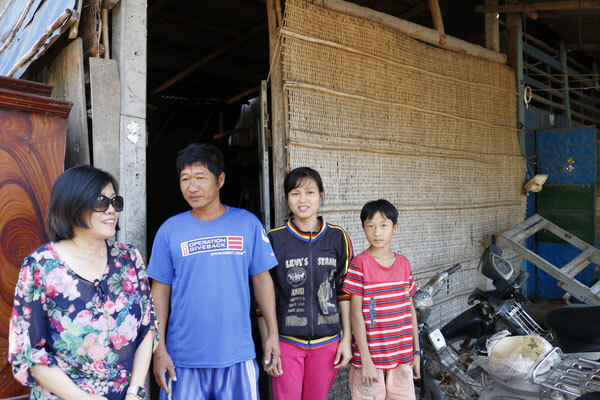 Bảo Ngọc has 4 siblings, the parents went to Saigon to work, they send their children to the grandmother after birth, her grandfather already passed away. 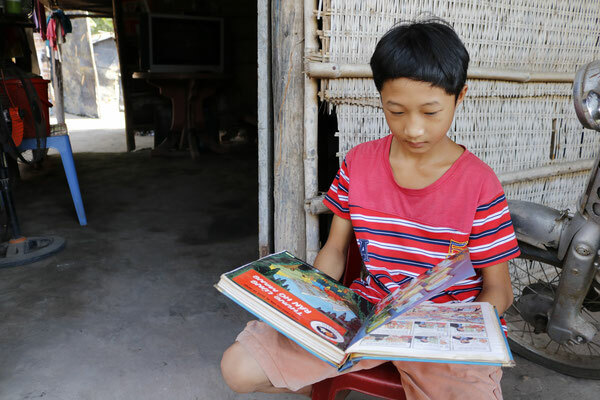 Bảo Ngọc is good at school. 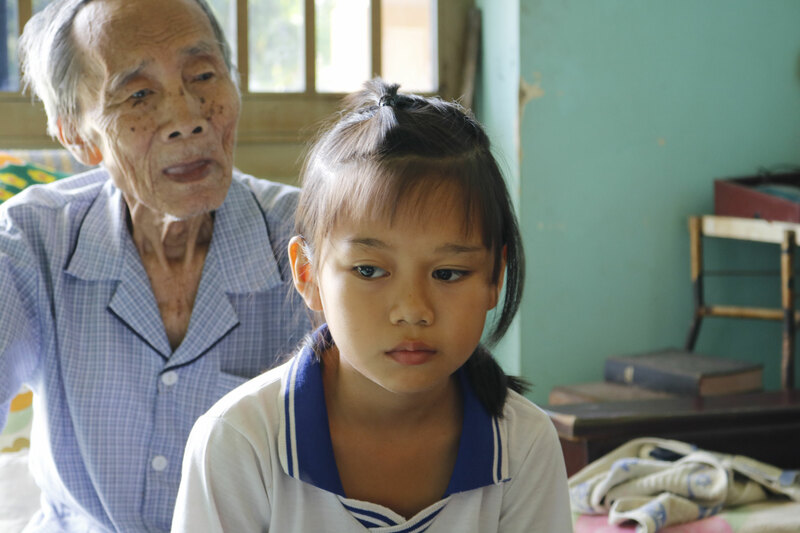 At home she has to help her grandmother to take care of her younger siblings. The grandmother asked her son, after giving birth to a son, not to baget more children because she is getting older and is unable to take care of the grandchildren. Her grandmother was close to tears when the ladies handed out the scholarship, probably because it was a tremendous support for her. "The visitors are on the bus on the way back to Tây Ninh. We thank you very much. If you have scholarships to be awarded, please do not forget the poor students in Tân Châu !" Except Nguyễn Trí Hải and Trần Quốc Hào, the other students Ngọc Trâm, Hương Duyên, Tuấn Kiệt and Bảo Ngọc are still wating on a sponsor (see the full list here). 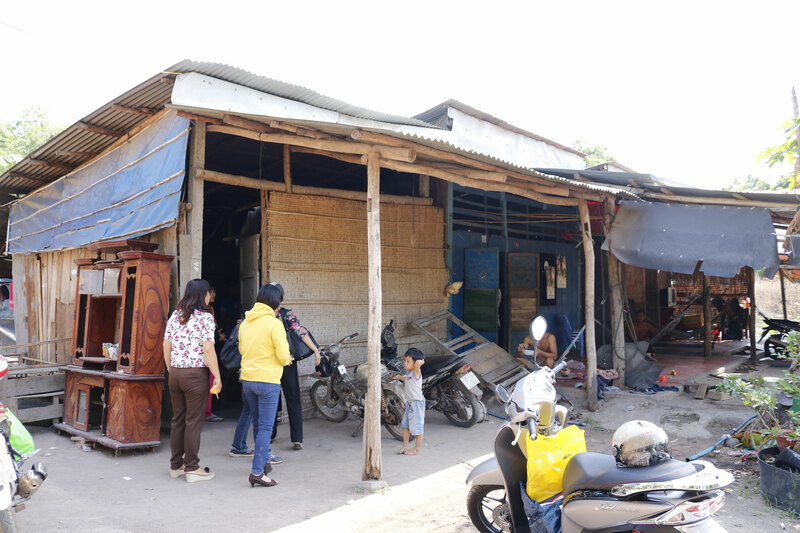 After the visit, knowing what the children's living conditions are, Mrs Ninh Hồng thinks that in some cases more support for clothes, books, food may be needed so that those children can continue to attend school, otherwise they will give up and remain illiterate. 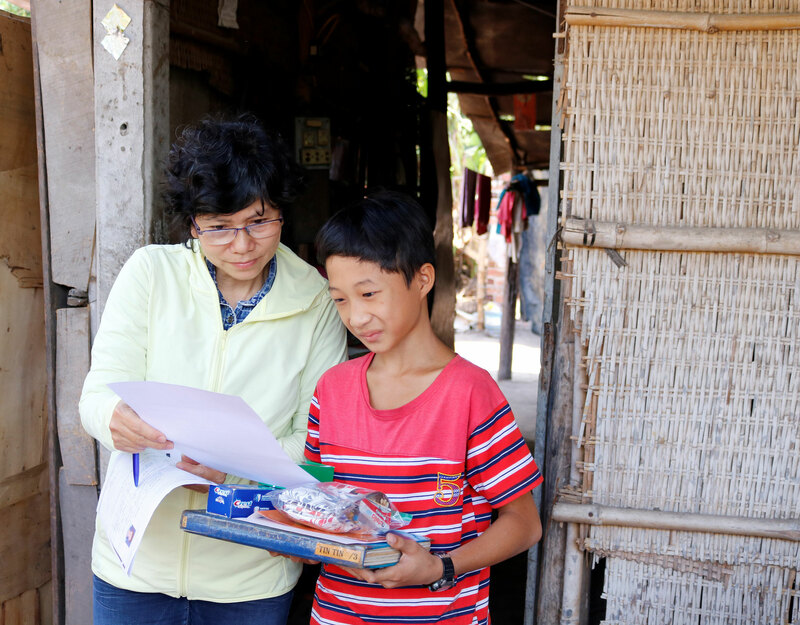 Currently, GiKaD supports 50 primary and secondary school students in district Tân Phú, district 12, district Gò Vấp, district Cần Giờ, district Củ Chi, district Tân Châu, Gò Dầu and Tây Ninh. These children are good at school, like to read books, are diligent, work outside class to help their family. "Greenleaves" is a longterm project.